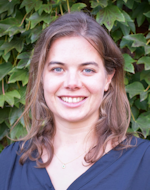 Leonie’s research interests are microeconomic theory, social and economic networks, and game theory. In particular, Leonie has been working on network formation with endogenous link intensities. In multiple real world situations, agents decide which links to form and how much to invest into each link. For example, a firm decides with which other firms to engage into joint ventures and how much to invest into each joint venture, a researcher decides with which other researchers to collaborate and how much effort to invest into each collaboration and so on. In her paper “Time Allocation in Friendship Networks”, Leonie characterizes equilibrium and welfare-maximizing network architectures and link investments when agents have a limited budget to build bilateral links of possibly different intensity among each other. One central result is that in equilibrium homogeneous agents can group together in “reciprocal” structures in which every two agents invest equally into their link, but also in “non-reciprocal” structures in which there exist high-investing and low-investing agents. Every high-investing agent is only linked to low-investing agents (and vice versa) and always invests more into a link than the low-investing link counterpart. In another line of research, Leonie has analyzed the emergence of fashion cycles from heterogeneous conformity preferences of consumers. In the real world, fashions are constantly changing. This can for example be observed in connection with clothing, neighborhoods, music, and food. Social psychology research found that individuals have different preferences for being conformist and individualist: Some people tend to follow the crowd, whereas others prefer to distinguish themselves. Leonie relates these two phenomena and shows that fashion cycles can emerge from heterogeneous conformity preferences. In a new research project, Leonie looks at the problem of recruiting the “best” agent from a network when the recruiter has imperfect knowledge about agents’ qualifications. In the model, agents – including the recruiter – only know the qualifications of their direct friends. Agents send a potentially biased signal (application) about their own qualification and a potentially biased signal (reference) for each of their direct friends about their qualification to the recruiter. It is examined which signals are sent and which agent is recruited in equilibrium, depending on the underlying network structure and distribution of qualifications.